By going full bore on “upgrade path” and tricking customers into believing its actually a reasonable selling point. And they’re getting people hook, line, and sinker. your average user probably isn’t. 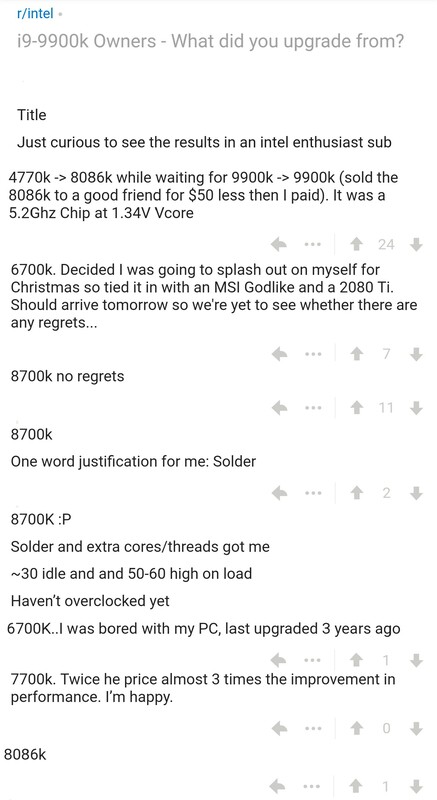 Its pretty rampant on tech forums. The same isn’t said for Intel users, even if they can. Very few people upgraded from Sandy bridge to ivy bridge, from skylake to kabylake, or from Coffeelake to Coffeelake refresh. 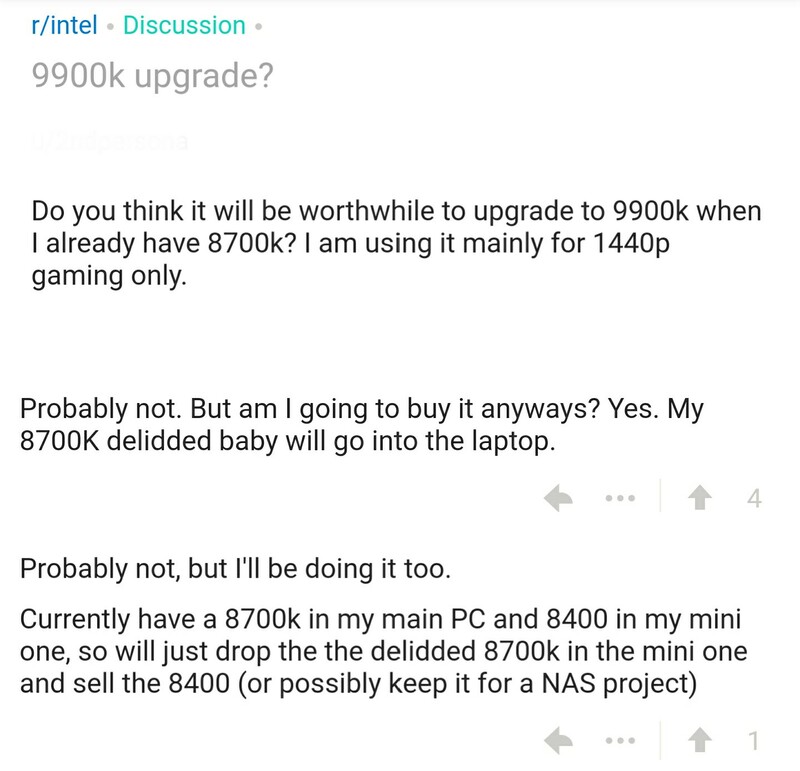 And i’d build a new intel system every year if it weren’t so bloody expensive. I can drop a 9900k into my system right now if I wanted and it would run fine even at 5ghz all core, but there’s no point, cost notwithstanding. I’m not upgrading my wife’s 1600, it’s great at everything she does. In 3 years, well just buy new stuff when it comes out. Only because I find it fun, not for any practical reason. There’s zero reason to go from first gen ryzen to 2 gen ryzen. 3rd may have something on it but we’ll see. I wish I could just build pcs every day though lol. Side hustle man. Do it! My last post got moderated because of snowflake safe space policy. You didnt say anything bad though?? I said the “I” word, directed at nobody specifically on this forum, but apparently it was anathema. I’ll admit the new PS5 looks impressive as heck. 8 core Zen 2, probably Navi, SSD…if it comes with keyboard/mouse support it would make many seriously reconsider gaming PCs. Wow could definitely play on those systems. PS4 already has native KB+M support, only thing is it’s up to the games to support it. They’re actually using these new high capacity ssd’s that are far cheaper than traditional ssd’s for the PS5 (according to rumors). It is gonna be more expensive. Hopefully it will have more PC like features and if it’s under $800 I’ll get one. I am not really a console gamer, but those specs are making me reconsider. Eh, PC gaming has too many perks, but I do have a ps4, we just barely use it for more then netflix.